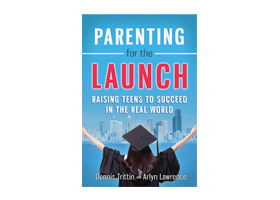 Your complete parenting guide for raising teens to become successful adults. 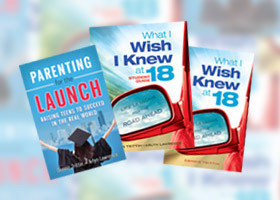 Inspires and equips parents with innovative strategies to cover the bases, prepare teens for key decisions, build enduring relationships, set up for a successful transition after graduation, and let go with confidence. You can do it! 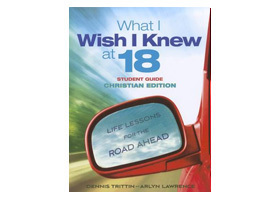 Comprehensive leadership and adult preparation guide for teens. 109 life success secrets based on admired leaders covering character, relationships, productivity, career, family, finances, and more. Conversationally written and designed to inspire. 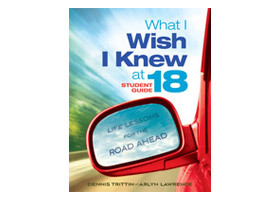 Powerful resource for parents, educators, and mentors guiding teens/young adults. Personal and interactive study guide for curricular and small group applications. Dual purpose resource serves as student workbook and facilitator guide with all course lessons. Dynamic, innovative leadership/life skills program for schools, mentor programs, and youth groups. Life Skills can be fun! Personal and interactive study guide for curricular and small group applications. Dual purpose resource serves as student workbook and facilitator guide with all course lessons and full Biblical integration. Dynamic, innovative leadership/life skills program for schools, youth ministries, and mentor programs. Life Skills can be fun! Please contact us if you or your organization is in need of a large quatity of our publications. We will be happy to facilitate a bulk order for you. Adorn your classroom with this witty and wise financial poster series: "Secrets to Money Management." 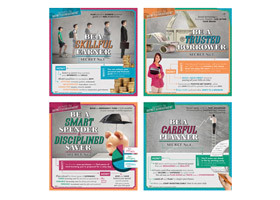 These cleverly designed posters share financial wisdom on how to be a skillful earner, smart spender, disciplined saver, trusted borrower, and careful planner. Financial literacy can be fun! In partnership with Learning ZoneXpress. Promote career readiness and excellence in the workplace with this dynamic, 45-minute talk. 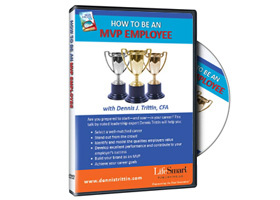 Addresses four MVP-building strategies: 1) selecting a well-matched career, 2) modeling the qualities employers value, 3) delivering excellent job performance, and 4) contributing to your employer's success. Ideal for career-related courses and employee training programs. 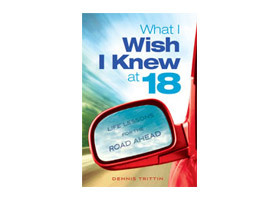 Confidently prepare your teen and yourself for their launch into adulthood. Learn how to develop leaderships skills, identify their unique assets, build an enduring relationship, and position them for success in college, career, and life. This 60-minute talk is ideal for parents and parent groups. To order, call 920-319-3169 or email us.